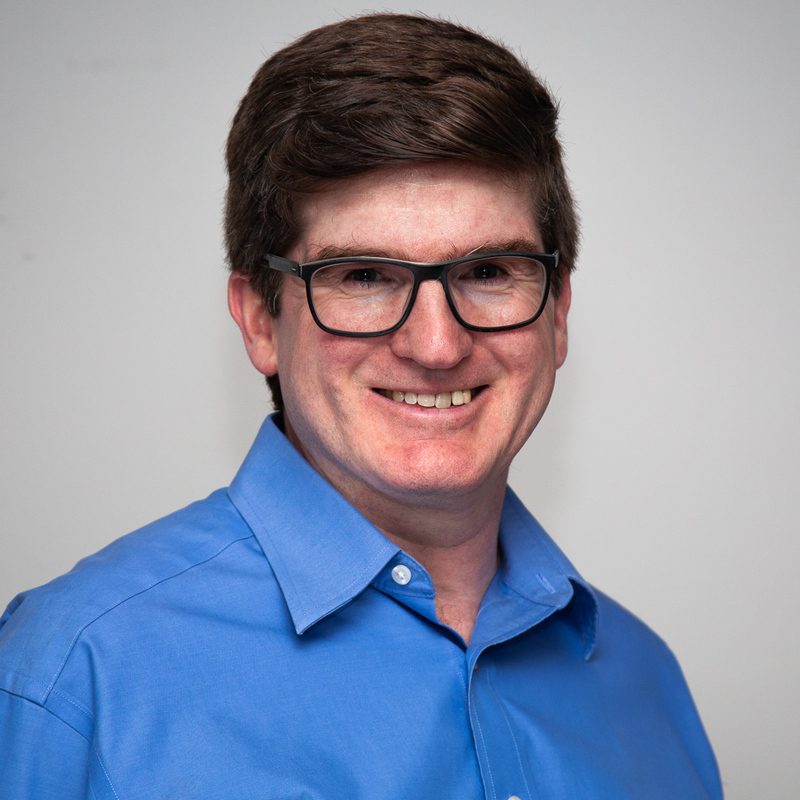 I’d like to change the title of this blog, so I solicited suggestions on Twitter and Facebook. There were some great ones! Then I held a poll. # WARNING: public use of this package can lead to social media abuse. Boo. My personal contribution scored 0. 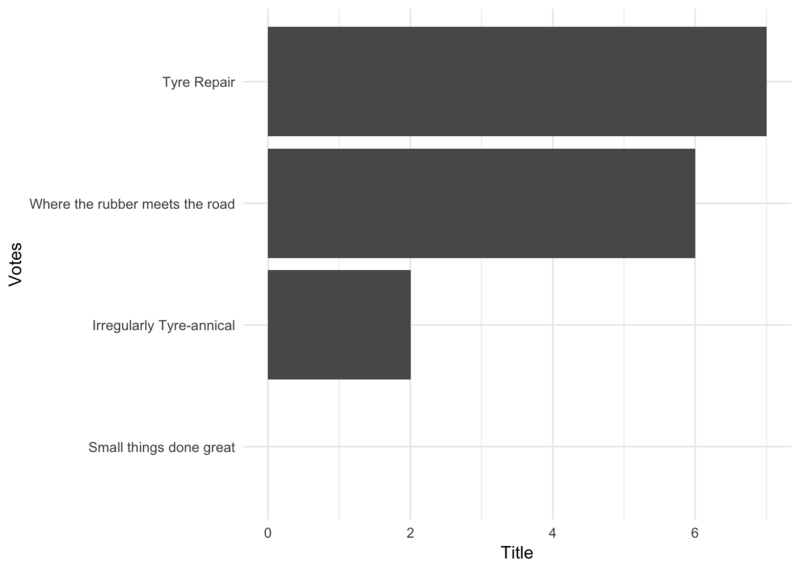 Although the winner is “Tyre Repair”1, the sample size is small, and I couldn’t help wondering if there was a statistically significant difference between that and “Where the rubber meets the road”2. This is a blog partly about statistics after all. But that’s not a terribly interesting hypothesis – it says that my voters care what title I use. What I really want to know is if there is any that beats all the others. I discovered a post-hoc test for for the Exact GOF, essentially testing each category against the sum of the others, and using Bonferroni corrections. So I’ll have 4 comparisons, and thus my p value should be less than 0.05/4 = 0.0125. I had to hide the results of that code chunk because package EMT isn’t very nice about output. So, basically none of the individual titles can be ruled out! Hmmm. Maybe I have the wrong hypotheses here. Well, there was also a great write-in candidate “Entyrely Optional”3, and protests to re-open the polls erupted. So I think I will try again with the top two from the first round plus the new candidate.